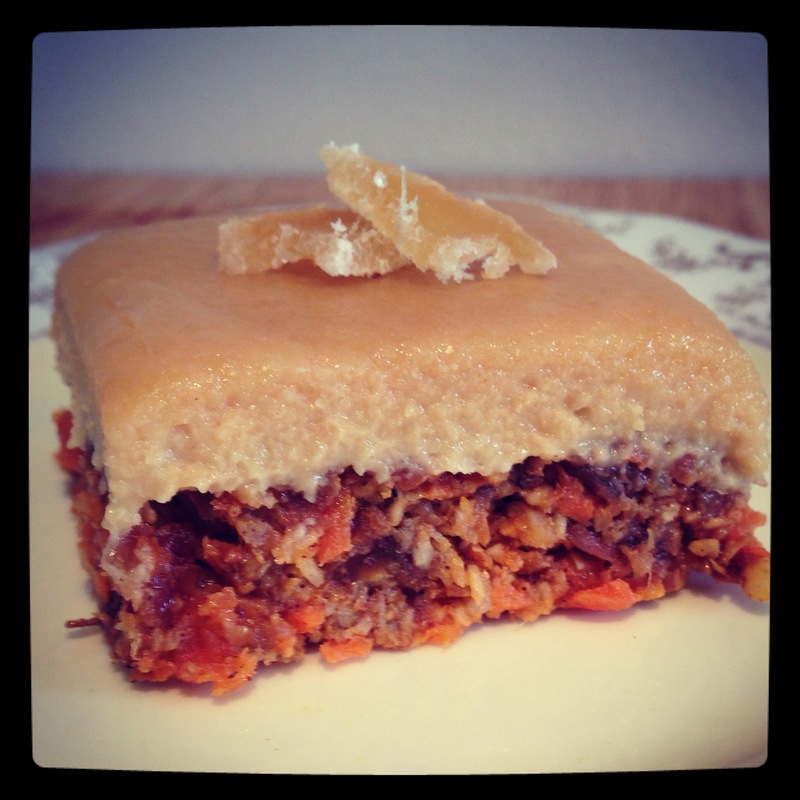 Carrot cake- the cleverest of cakes,vegetables disguised as cake. What is even cleverer is that parents seem to have this thing about carrot cake and making it for their kids because it is healthy. The part I like the most about carrot cake is the cream cheese frosting. YUM. He LOVED it! Especially the icing. Grated Carrots by hand or use a food processor- set aside. Process nuts and dried fruit+ ginger till the texture of bread crumbs. Add in carrot, spices and coconut- blend till combined. Press into a paper lined tray- set aside in the fridge. Blend everything except the coconut oil till smooth- I mean smooth smooth. Blend in melted coconut oil. 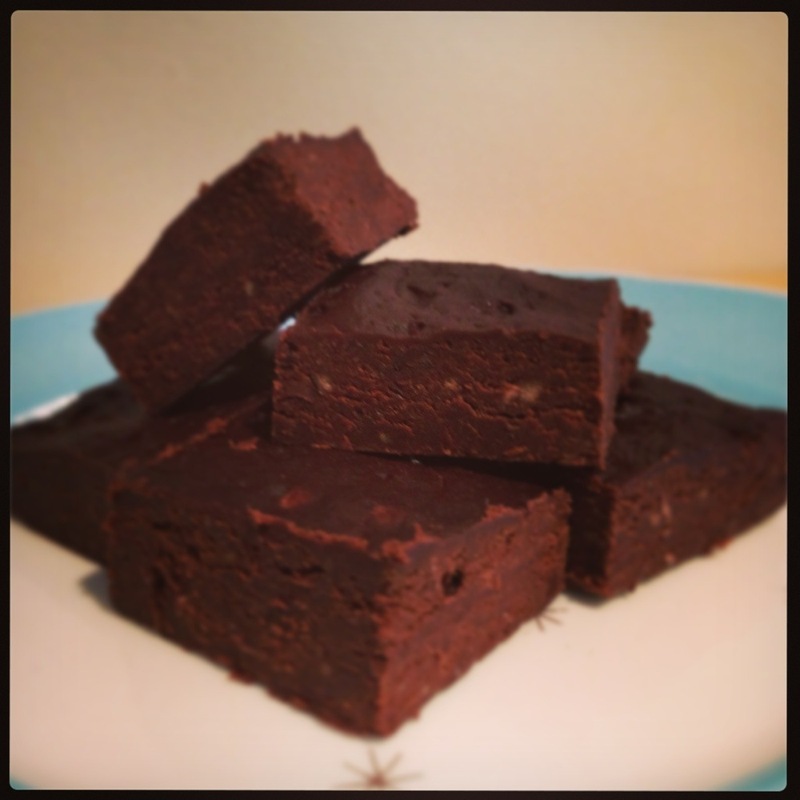 Spread over cake- set in fridge or in the freezer. Will need to defrost before eating if in freezer. 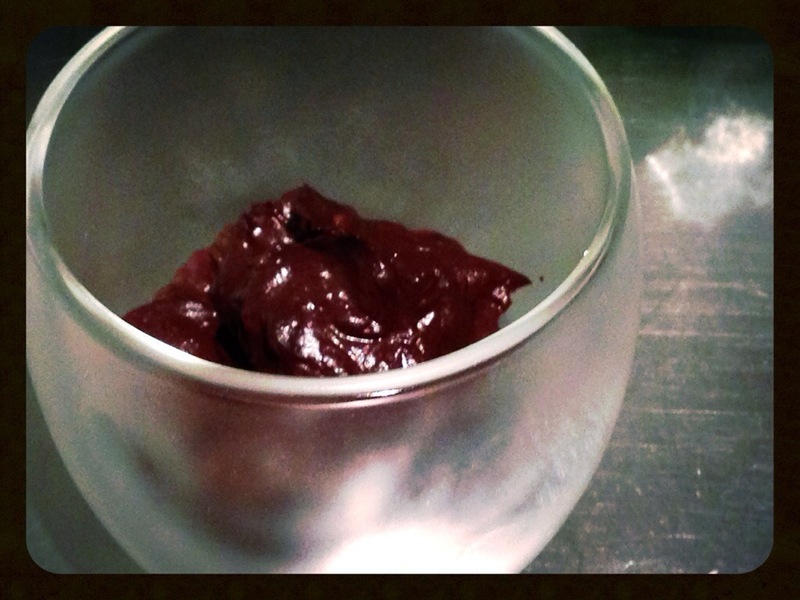 So I came across a recipe for Black Bean Fudge, I ran (well limped fast due to my recent knee surgery) to the pantry and rummaged till I found that tin of Black beans that were waiting patiently till I made Mexican which I haven’t gotten round to- yet. Lucky I love chilli chocolate as this was a tin of Black beans in chilli sauce- I can work with that! So I changed the recipe and viola- Please try it just once- totally worth it. Put everything in the food processor and blend till smooth- you could also use one of those wand things as the mix is really thick! Spoon it into a lined tray (a very small tray) smooth the top and set in the fridge. This can be kept in the freezer, and just defrost as you want it. Cooked food is so yesterday. Raw food preparation also means since nothing is baked or cooked on, it all washes off easily and sometimes you don’t even need to rinse a dish just let the dishwasher take care of it. Yet another terrific feature of un-cooking food is the amount of creativity you can apply! Recipes are easy to adapt- substituting and changing quantities to suit your tastes. Essentially you are throwing a bunch of wholesome, nutrient-dense ingredients together in different forms and serving it in a way that is pleasing to the eye. 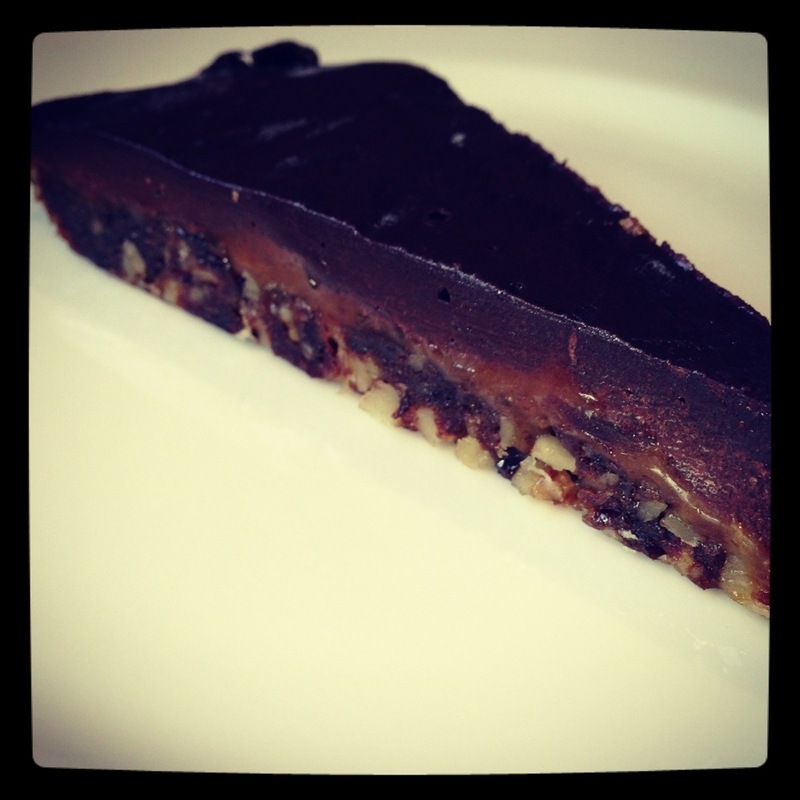 I came across a recipe for a raw salted caramel tart- how good does that sound?! 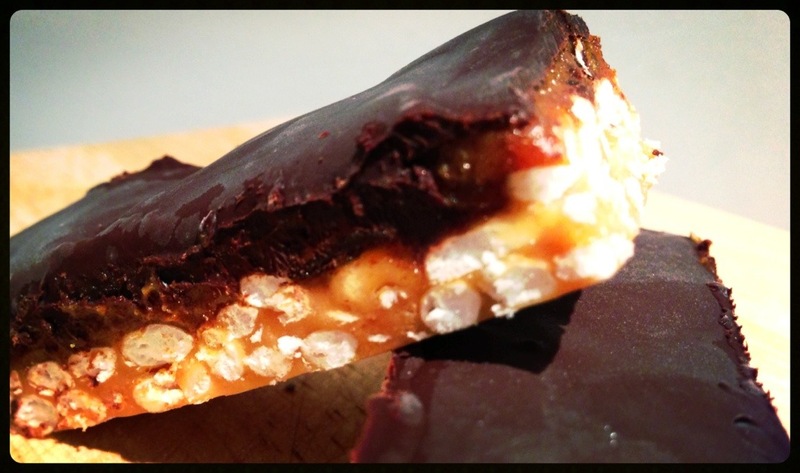 I had a play and changed it here and there and came up with this dense gooey sticky nutty slightly salted caramel bar thing who knows what to call it but yum- I am slowly chipping away at it, it is in the freezer which makes it like toffee but totally healthy. Blend together till well combined, but still has some texture. Press into a paper lined tray. Blend till creamy and almost all the lumps are gone. Spread this onto the base.